It isn’t suppose to snow in Seattle. The young crows are learning how to deal with the white stuff. A few peanuts helped their mood. 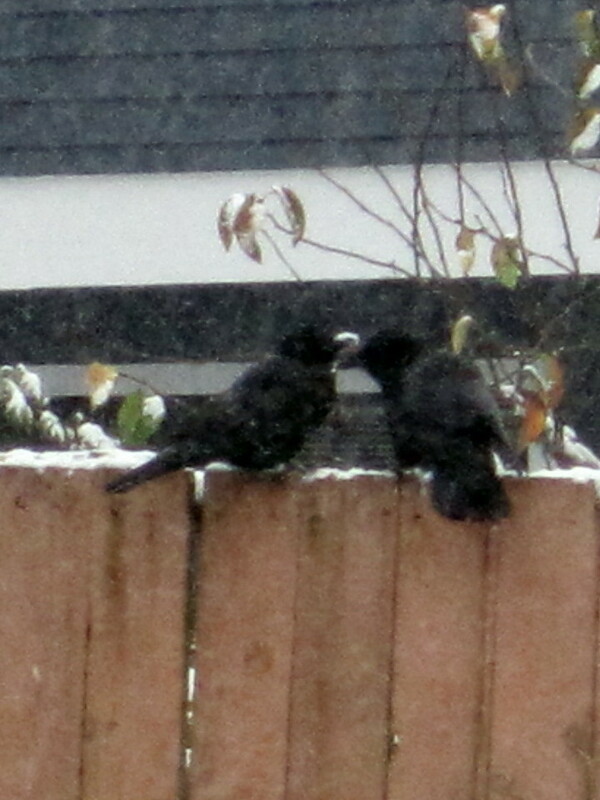 Then we saw the two on the fence preening after they shoveled with their beaks. 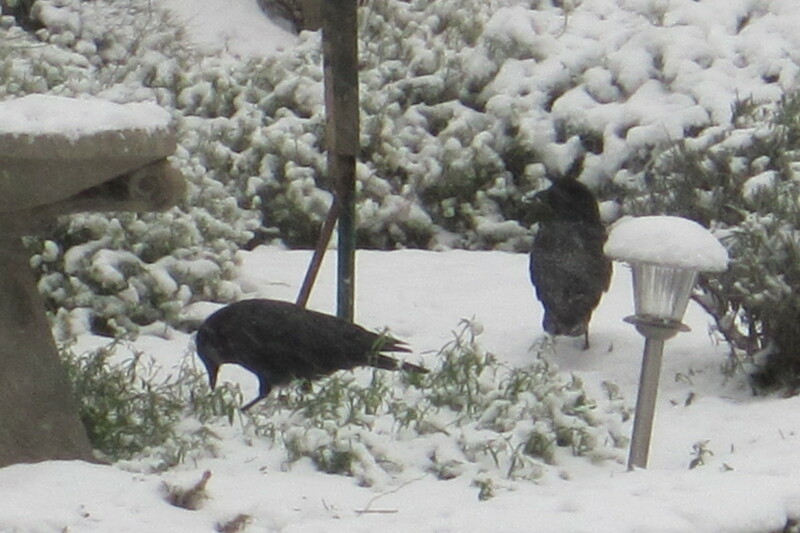 Lastly they poked around in the garden under the bird feeder for some fallen sunflowers. Pretty adaptable gang. We didn’t want to go outside but outside is their home.